Mirror mirror on the wall, who's going to get the iPhone contract of them all? The fight among mobile phone operators in Europe over who will get the deal to sell the Apple iPhone is fierce, even before an actual launch date has been announced. Various reports this morning had O2 down as the winner of the exclusive Apple iPhone contract in Europe. But the company is denying these reports, saying "they're just stories without any truth to them". Both the Financial Times and The Times newspapers reported that O2 was to pip Vodafone to the deal to sell the iPhone in the UK when it's released later this year. The Times stated that a deal was to be announced imminently. The reports also indicated that T-Mobile would get the Apple iPhone contract in Germany , while Orange was said to be the front-runner for the contract in France. German website FTD.de reported that the Apple iPhone will only launch in the UK, France and Germany this autumn, with the rest of Europe to get the device next year. 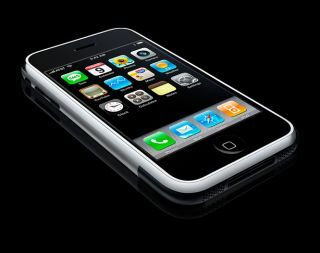 The European version of the Apple iPhone will not support 3G, despite earlier suggestions, according to the publication. Rumours have so far suggested that Apple will pick one pan-European partner, with Vodafone as a front-runner for the contract. But reports over the past few days imply that Apple may have decided to go with different partners in different countries. Orange, owned by France Telecom , is expected to get the Apple iPhone contract in France, and Telefonica is likely to distribute it in Spain. And the UK? Who knows. Vodafone, T-Mobile and O2 are all denying rumours that they will be the iPhone carrier when the device is launched over here in time for Christmas. To hit this target, Apple needs to sign up partners within the next month, according to industry experts. The Apple iPhone is expected to cost £300 and £399 for the 4GB and 8GB version respectively when it launches in the UK.